Syncope evaluation : Clinical cardiology at it’s new low ! Recently , I came across a young women who underwent the following three tests for one episode of syncope after witnessing her pet dog bleeding with an Injury ! After 1 week of investigation ,a diagnosis of Neurocardiogenic syncope was made and she was reassured and no drugs were prescribed. To diagnose common syncope . . . we need common sense ! Syncope is a dramatic symptom.It is one of the commonest symptom in ER as well . Life time incidence of syncope is at least one episode in 50% all human life ! The definition of syncope until recently , was liberal .Any transient loss of consciousness with spontaneous recovery was termed syncope. Cardiologists wanted to fix syncope as an exclusive disorder of circulatory insufficiency.By bringing in a modification in the definition , ie syncope is now defined as a transient loss of consciousness due to reduction in cerebral perfusion . This definition helped cardiologists to exclude the above entities . Still many would include all in single basket as patient should be seen as a whole and we can’t expect them to land according to our convenience and classification. Aortic arch disease -Takayasu related arteritis . We have a sophisticated array of investigation for syncope .It can be a never ending exercise , ranging from spinal cord evoked potentials to diagnose Shy-drager syndrome , . . . to implanting long-term loop recorders to decode heart beat behavior. Common sense begins with answering few simple questions . Is it really syncope ? If it is syncope , Is there a non cardiac cause ? Need for neurologist -cardiologist interaction. Syncope due to VBI, transient Ischemia attack , Senile vascular dementia is a grey zone . Many have complex neuronal -vascular mechanisms . What is Consciousness ? and What is LOC ? :Is it the lack of blood or severely depressed nerve signal in the reticular activating system? Lots of interaction between cardiologist and neurologist is required to clear our ignorance. (I have one such elderly patient who is intermittently awake ! I call this chronic syncope !) . Realise the most important lesson in Medicine . If you have ruled out all serious causes of syncope you should have the courage to be satisfied with that ! Scientific pursuits has a limit. Searching for the mechanism of a psychogenic fainting attacks with intra cerebral electrodes is a clear case of physician acquiring a psychotic behavior ! Syncope is not only a dramatic symptom for the patient , it also unfolds a drama of costly investigations . . . many with dubious value. Talk to the patient personally for 10 minutes in a quiet room, try to apply that elusive clinical sense . 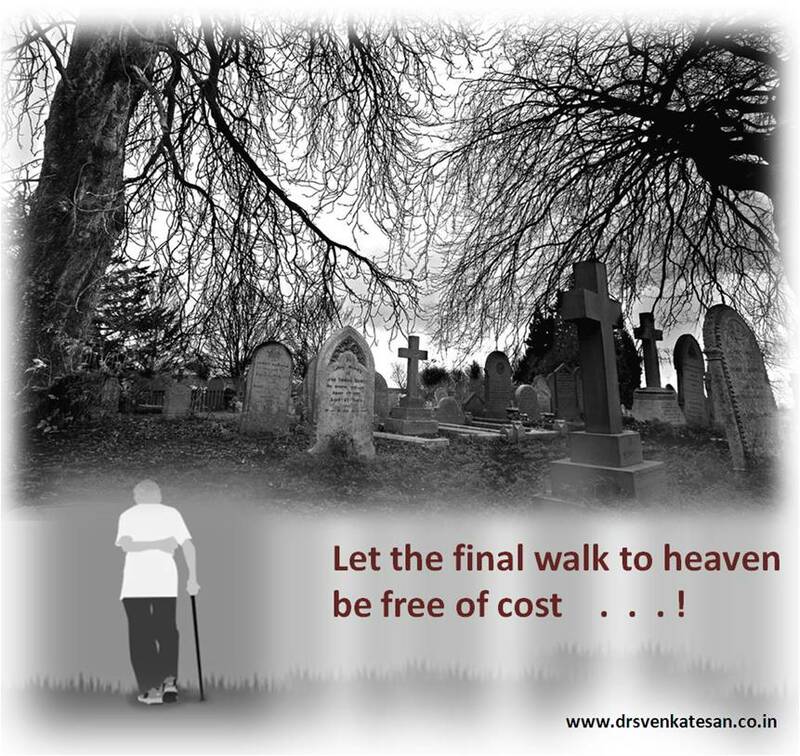 . . it would rarely let you down ! What is the true clinical value of * Head up tilt Test (HUT)? Learning crucial cardiology lessons from the patients ! One of my otherwise well behaving patient , suddenly asked me this question , before leaving my clinic after a 15 minute consult . Doctor . . . I am taking the clopidgrel and aspirin for 5 years like a vitamin tablet . . . is that all right doctor ? I just got curious, I checked the prescription again . Yeh , he was right ! I have been mechanically writing Tablet Clopitab A since 2008 ! Some sort of CAD ! Was it for ACS ? No , it was for chronic stable angina . No PCI, . . . no DES ! Why the hell he is taking dual anti-platelet therapy for 5 years ? Some body , some where , has prescribed it . This man is taking it for years together with absolute sanctity. I was amused . . . it is also my mistake . 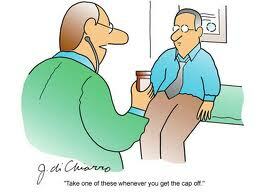 Why it never struck me to scrutinize the prescription ? I thanked him . I removed clopidogrel from the list , and asked him to continue tablet Ecosprin 150mg for some time . It is dumped every where , free of cost . . . both in real and cyber world .Applying it requires more sense . and my patient taught me that ! Patients not only help us earn our bread and butter , they do enrich our brain as well ! Never get humiliated when a patient teaches you a lesson in medicine ! The major issue of contention is fear of conversion of pure ischemic stroke into hemorrhagic stroke . But here is a catch if you worry about that . . . who will worry about recurrent emboli from heart ? 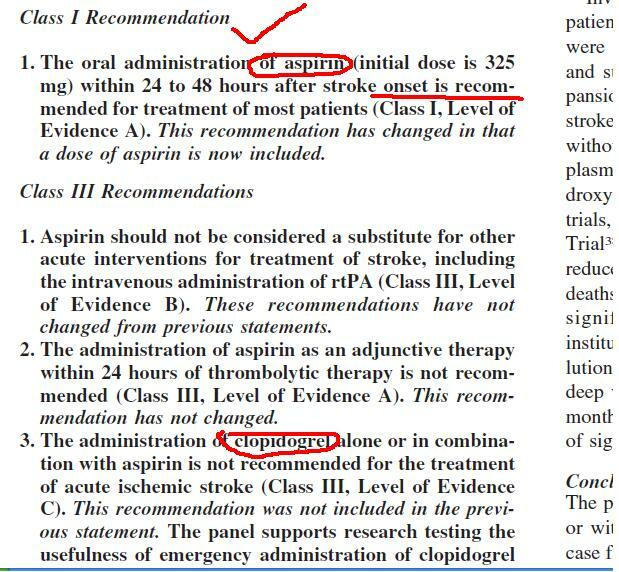 I think the 2007 stroke guidelines are the latest .Even after going through the guidelines I am not really clear about the answer for the question posed in this article. 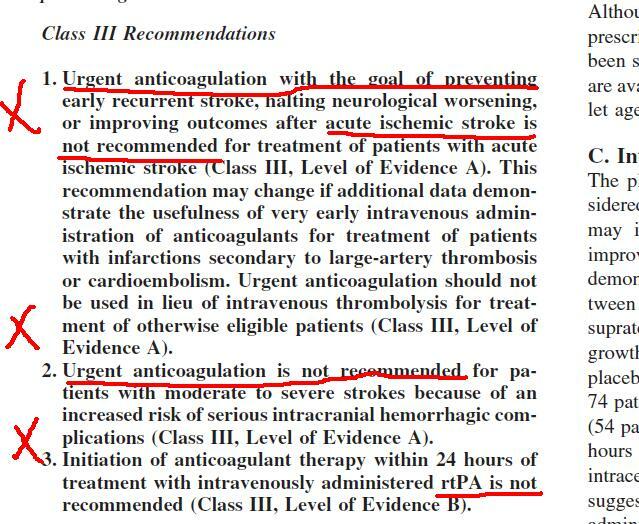 One more thing I (mis) understood was , In acute stroke thrombolysis seems to be safe . . . Heparin seems to be dangerous ? Is that true ? It defies logic for me ! Readers may contribute to find the exact answer ! What are the blind spots of aorta in Tans thoracic Echo ? What are pseudo dissection flops in aortic arch ? How to differentiate true from false lumen ? Can TEE also miss any segments of Aorta ? How is Aortic Intra mural hematoma differentiated form true dissection? Spend a minimum of 30 minutes in this 14 page article. You will be able to answer all these and much more ! The knowledge gained , would easily beat a day long crash course on Echocardiogram ! Please thank the European society of cardiology for providing this article free of cost ! 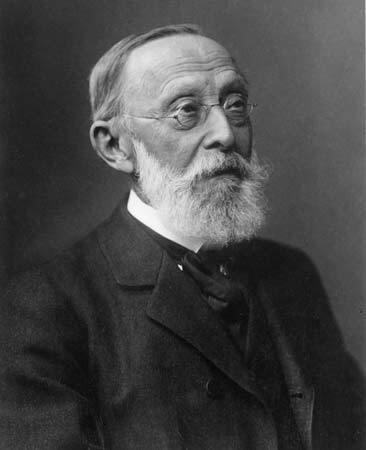 Great men in medicine : Virchow is much . . . much greater than his “Lymph node and the Triad” he is known for ! Some scientists are known for their discovery , few are known for their vision few for their character .Here was a man who had all of them can be termed as father of modern medicine . Unfortunately the current generation knows him for his concept and theory of blood clotting or lymph node in the neck . We have probably not learnt a single lesson yet , from this master teacher is a different story ! Virchow’s concepts are most relevant in today’s world , where the corporate and capitalist culture has hijacked the noble profession . Inhabitants of this planet are threatened with eccentrically blown up healthcare system where the development of modern medical modalities is completely out phase of with what is required for the people . We will pay a heavy penalty if this world continues to witness people die for as flimsy reasons like lack of oral re-hydration fluids , while the other section of society is marketing an exotic mitochondrial DNA slicers for prolonging a cancer victim life by few months . In a global society where social , economic and environmental responsibilities and liabilities are shared , it would be disastrous if one country is simply not bothered about what is happening in other country. WHO the world health organization came into being exactly for this reason . We know . . . how it functions . It is the most abused united nation body . It has neither the required power nor the will to tell the world and insist them the righteous route for human health ! If the rich are not bothered about poor , it is certain the rich will also be eliminated from the planet for the same reasons . . . it’s just a matter of time !